Free stuff are among my favorite things to sell on eBay. There are lots of freebies around that can be resell. No worries about fees and profits because.... it was free! Coasters, especially beer coasters do sell. 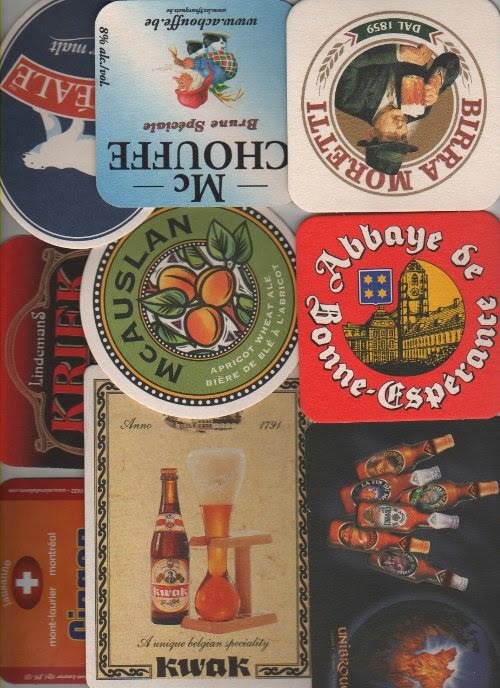 Depending on the rarity I either sell coasters in lots (for the general coasters collectors) or, for the more unique and hard to find pieces, I sell them separately (or in small lots of the same brand) for those who collect everything related to a specific brewery. Prices are all over the place, so it's worth checking your coasters and put aside the rarer ones. These should not be sold in lots. For example, this Boreal beer coaster with Rodin spoof sculpture sold for 5$, while the lot below also sold for 5$ (both sold a few years ago). One was rare and more interesting to collectors, while the lot was made of more common coasters.